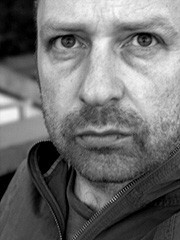 Words & Pictures is a new solo lecture-performance by Tim Etchells, best known for his work as artistic director of Forced Entertainment. The project focuses on a collection of photographic images, some found and randomly collected from the Internet, others donated by friends and acquaintances, placing these images alongside a series of stories and speculations. Etchells explores some of the themes that have obsessed and fascinated him as a director and writer over the years, from the relationship between fact and fiction, narrator and material, to identity and the uses and abuses of stories themselves. Alongside his diverse theatre projects with Forced Entertainment, Etchells has in recent years pursued a strand of intimate and accessible works that blur the boundaries between performance, documentary and lecture.